 The Macomb County Health Department (MCHD) typically receives a number of requests throughout the year from students seeking opportunities for on-the-job experiences as part of their educational program. These requests can be for informational interview or longer-term internships that may involve periods of several months or longer. Often, these types of experiences are included in curriculum requirements to obtain a specific degree, but in some instances, the student is simply looking for exposure to a real-world experience in which to apply learned skills or to help in deciding upon a career path. It is the desire of the Health Department to accommodate these types of requests whenever possible; however, it is important to manage the number of such requests that are granted each year in order to maintain standard delivery of services while enhancing the student experience. Please select the opportunity of interest to learn more. Be enrolled as a matriculated undergraduate, graduate, or professional student in a degree program at an accredited college or university in the US. Recent graduates are not eligible to apply. Students hired to fill paid temporary or seasonal positions may use the employment experience gained to fulfill internship requirements. Applications must be received at least two months prior to the intended start-date of the internship/practicum. Students may apply for no more than two internship opportunities. Complete applications received by the Macomb County Health Department will be reviewed by supervisors who wish to host an intern. Applicants may be asked to be interviewed, either by phone or in person. Applicants who are chosen for an internship will be notified by the supervisor via phone or email. All applicants will be notified of the status of their application within 4 weeks of receipt. Internships currently available at the Macomb County Health Department are listed below. When applying for a specific internship, please be sure the title of the project matches with your application. Macomb County Health Department does not have any internship opportunities available at the present time. Please check back again soon. Macomb County Health Department accepts Nurse Practitioner students in our Family Planning Clinic. Rotations are selected based on the following criteria: first come-first served, affiliation agreement with the University, availability of Macomb County Health Department staff. Nurse Practitioner students who are interested in completing a rotation with our Family Planning Clinic should completed the application process and list "Family Planning Clinic Rotation" as their project. All applications will be contacted within 4 weeks of submitting a request. Students may request informational interviews (typically by phone) with a public health professional to gain enhanced understanding of public health programs and policies to supplement a school assignment. Application must be received at least two weeks prior to requested interview date. You will be notified of the status of your application within seven business days of receipt. Confirmed interview date may vary around the requested interview date. Requests will not be considered if not received within the time-frame indicated.